Quick and easy Nutella brownies recipe from scratch, made with 3 simple ingredients in one bowl and 30 minutes. They are super fudgy, soft and chewy. 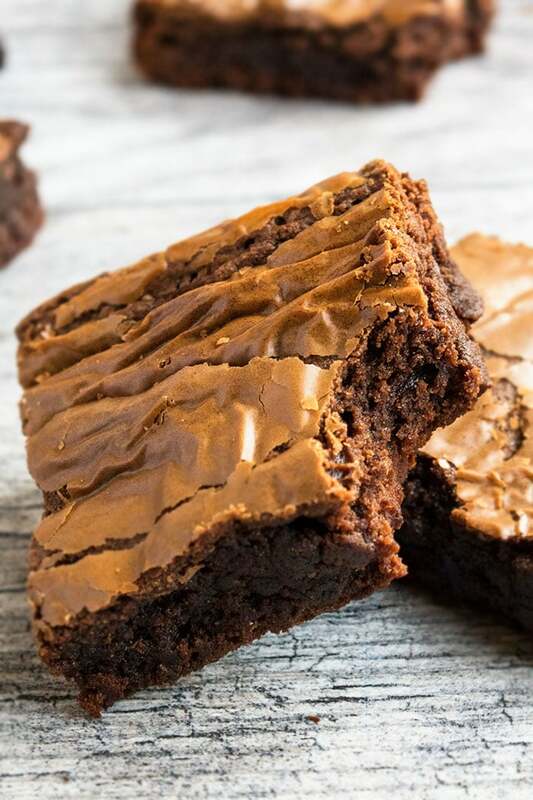 I love Nutella, which has resulted in this Nutella brownies recipe as well as other delicious Nutella recipes like these Nutella Cookies and Nutella Syrup. 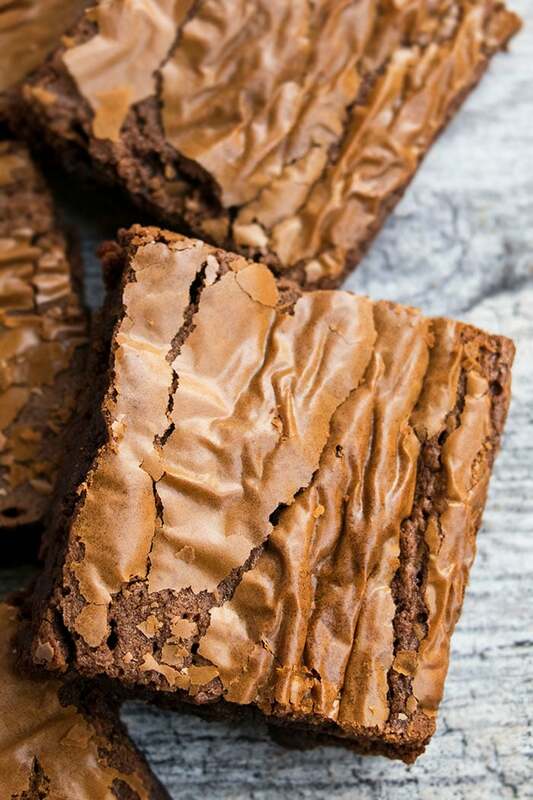 These easy Nutella brownies are the BEST and require only 3 ingredients! They have an ooey gooey fudgy texture and the most perfect crackly tops! How to make Nutella brownies? Mix together Nutella and eggs. Chill, cut slices and you are done. The ingredients are combined together in a mixing bowl and then spread in a square pan. They are baked, chilled and then, sliced. I don’t like this version because I think it has more of a “chocolate truffle” texture because of the lack of flour. 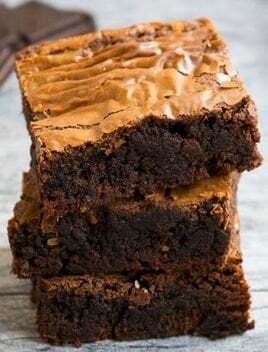 Use half Peanut butter and half Nutella in this recipe OR you can drizzle some melted peanut butter on top of the brownie batter and use a knife to swirl it, prior to baking. If you don’t have Nutella, you can make these with any other brand of chocolate hazelnut spread. Stir in nuts or chocolate chips into the brownie batter, if you like. Don’t over-mix the batter because that will make the brownies very tough. All ingredients must be at room temperature so that they blend together easily and smoothly. Prior to baking, top off the brownies with some sea salt for salted brownies. All-purpose flour can be replaced with gluten-free flour blend. I have used Bob’s Red Mill 1 to 1 successfully. 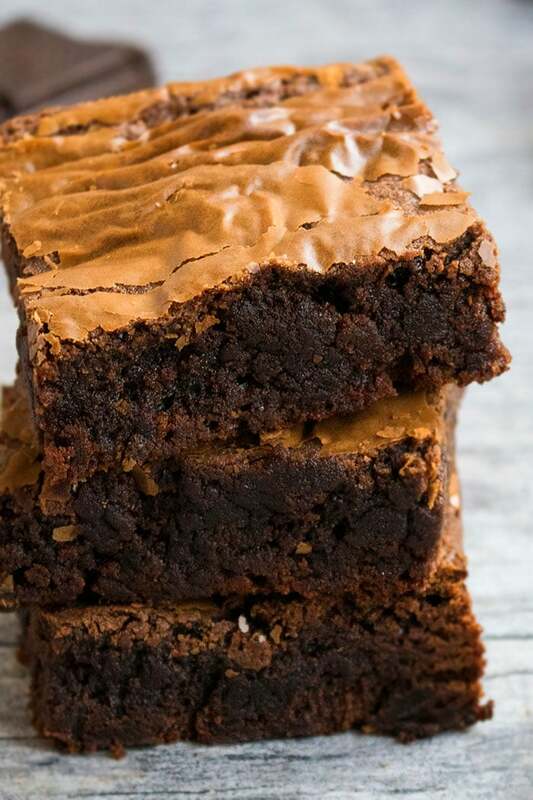 Once these brownies fully cool down, you can enjoy them as is, or you can top them off with Nutella spread, marshmallow frosting or chocolate buttercream frosting or just a dusting of powdered sugar. In a mixing bowl, add Nutella and eggs and mix until smooth. Add flour and mix until just combined. Don't over-mix! Pour batter in a square pan (Dimensions: 8x8), lined with foil paper and lightly greased with oil. Bake at 350 degrees for 20 minutes or until an inserted toothpick is the center comes out with a few sticky crumbs. If it comes out dry, you have over-baked these brownies. Let the brownies cool down completely. Then, cut slices and enjoy. Reheat in the microwave for 15 seconds to make them soft and ooey gooey again.